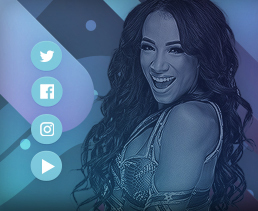 Sasha Banks cut a selfie promo saying she didn’t need luck in the Gauntlet Match as she was the boss. 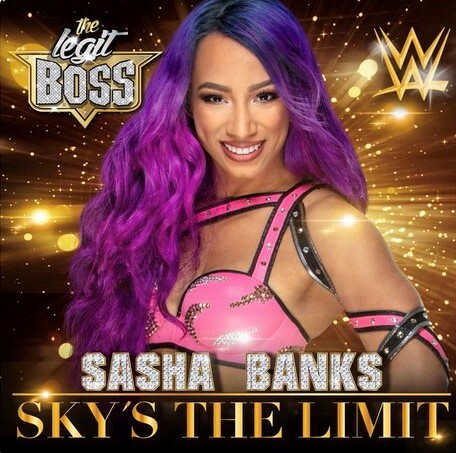 Gauntlet Match to earn slot in Women’s Money in the Bank Ladder Match: Liv Morgan vs. Sasha Banks vs. Ruby Riott vs. Dana Brooke vs. Sarah Logan vs. Mickie James vs. Bayley. Bayley was the first out. Charlie Caruso interviewed her and said the odds are against her because she was first. Bayley said she was going to bring the fight and has never backed down from one in her life. She commented on all the other competitors and promised Sasha Banks that the name on the contract will read Bayley. Her opponent was Liv Morgan. Bayley pinned her almost immediately with the Bayley to Belly. Morgan eliminated. Next out was Sarah Logan. They went back and forth and finally Bayley scored the pin. Logan eliminated. Liv Morgan and Sarah Logan beat her down. Ruby Riott came to the ring as they went to commercial. During the commercial, Bayley told the official she wanted to continue, so he let the match go on. When they returned from commercial, Riott was firmly in control. Bayley went to the ropes but was pulled off, her arm smashed over the top rope. She nailed the Riott Kick and scored the pin. Bayley eliminated. Dana Brooke was the next competitor. Riott began stomping her as she slid under the ropes. Brooke blocked being smashed into the buckles and drilled Riott into them over and over. Brooke nailed a big running elbow in the corner. She followed up with a clothesline for a two count. Riott ducked a clothesline and nailed the Riott Kick for the pin. Brooke eliminated. Mickie James was out next. Big pop as she was in her hometown. Riott tried to attack her as she slid into the ring but James stopped and pulled her out to the flor. James nailed her and came off the apron with a Thesz Press. The crowd chanted for Mickie. Riott was rolled into the ring for a two count. Riott fired back with right hands. James nailed a rana out of the corner and followed up with a dropkick for a two count. Mickie hit a sliding dropkick under the ropes to the floor as they went to commercial. When they returned, Mickie nailed a Thesz Press from the top for a two count. Mickie missed a Mick Kick. Riott missed a Riott Kick. Riott rolled her up and hooked the tights for the pin. James eliminated. The last competitor is Sasha Banks, who tries to score a quick pin with a crucifix, then follows up with a backslide. Banks comes off the ropes with a bodypress for another two count. Banks went for the Bank Statement in what looked to be a scary exchange. Riott stomped her in the corner with boots. On their knees, they battled back and forth with slaps and strikes. Riott scored a two count. They showed other MITB competitors watching backstage. Banks kicked off a Riott charge. Banks nailed a knee to the face and went to the top. She came off with the double knee strike for a two count. Banks missed a double knee strike into the corner. Riott fought off a Bank Statement attempt and nailed Banks hard. Ruby used the ropes to bounce off into a DDT for a two count. Banks keeps kicking out. Banks is placed on the top rope but fights off when Riott attempted a superplex. Riott was drilled with a series of elbows to the back of the neck. Banks slipped under her and trapped her in the buckles, kicking her. Riott was trapped in the Bank Statement. Morgan and Logan hit the scene but were nailed. Riott rolled up Banks and hooked the tights but Banks kicked out and locked in the Bank Statement and scored the pin. Advancing to the Money in the Bank match, your winner, Sasha Banks!